There are many different ways to reach out and touch a lead from sending letters, postcards or even text messages. These all work great depending on the situation. In this tutorial we are going to create a Podio App where we can send and receive SMS Text messages. 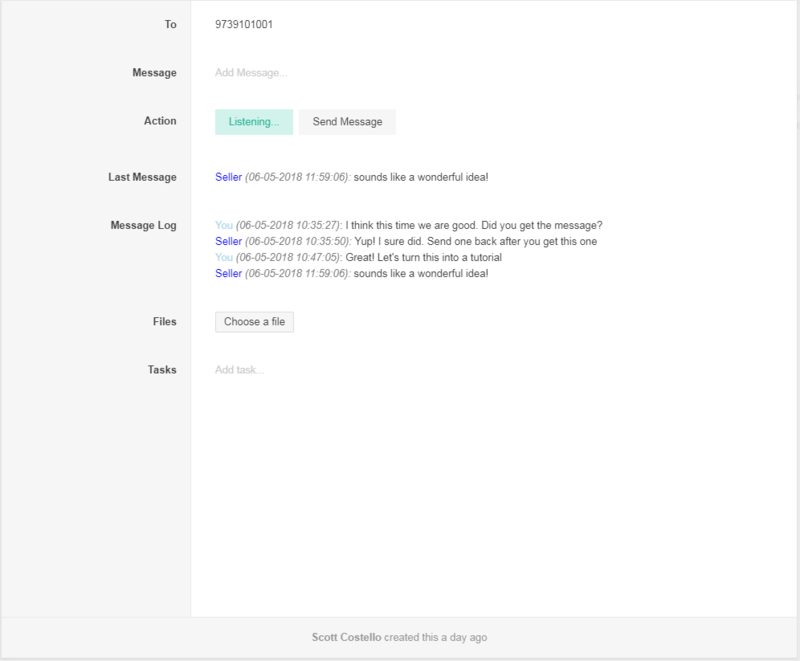 We all send texts back and forth with our sellers and this setup can be easily implemented into any Podio workspace. 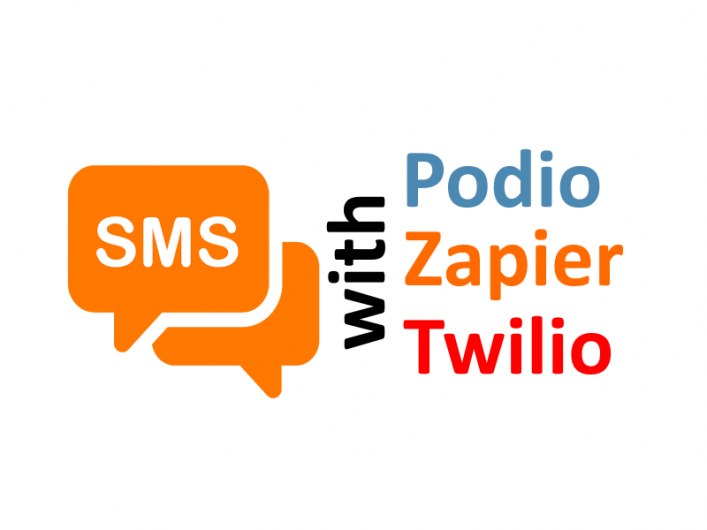 When I found out that Zapier had an integration with Twilio (the SMS service) I just had to figure it out and write up a tutorial to share. I've done something similar by developing a webservice that connected Twilio and Podio in REIFLOW, but that couldn't be replicated very easily. Using Zapier on the other hand makes this something anyone can do! In this article I'm going to show you how you can setup a simple integration between Podio and Twilio. When I first started looking into incorporating this feature into my Podio process, I figured I would have to write a webservice or hack together something in Globiflow to make it work. However, to my delight, all you need to connect the two services is Zapier! So this is what I'm going to show you how to do. Although Zapier has changed quite a bit since I last used it, the setup is fairly straight forward and will only take you about 30 minutes. At the end of this tutorial, we will have 3 Zapier Zaps for sending and receiving SMS Text messages. One zap will be for the 1st text to a new seller. The second will be for receiving the text and third will be for your responses. Creating a general SMS App. This app will contain the needed fields for sending and logging each text of the conversation. Creating a Twilio account. The account is free, but you'll have to buy messages ($0.0075 per SMS) and a Phone Number ($1/month). Setting up the Zapier Zaps. These zaps will connect to Podio and Twilio to handle the sending and receiving of the Texts. Here is a video demonstrating the final result of this tutorial. In it a send a text message, from Podio, to my google voice number, reply to the text and then send a follow up question from Podio. I wish I could say this wouldn't cost you anything, but you'll have to pay up for the Twilio and Zapier parts. Zapier has a free account, but you'll need to purchase a plan in order to use more then 3 Actions in a Zap. Twilio pricing get's cheaper the more you pre-purchase, but because I'm not sending bulk Texts the Auto-Fill plan works best for me. I keep about $20 of credits in the account that gets recharged when I hit $10. This makes sure I always have credits. The cost of a message is $0.0075 per SMS. That is less then 1 cent. Additionally you'll need a phone number from Twilio which will cost you $1 per month. Not really an issue. Here is the pricing sheet. The additional pricings for phone numbers relates to Toll-Free or Short Code Numbers. And here is the pricing for the Bulk Discounts. I highly doubt that any of you will be sending out this many texts in a month, but here it is just in case. As for Zapier I'd love to tell you that the free plan is enough, but to get the full functionality out of this we will need the ability to add more then 3 Action steps to our Zaps. Also the benefit to a Zapier paid plan is that you get to have more then 5 active Zaps. Here the pricing. I use the Starter plan for $18.33 per month. Personally I think it is a little more expensive then I would like, but it is well worth it. I just paid the entire year up front, some how it feels less painful that way. Before we get started on any setup, let us make sure we have all the accounts created before. So here is a quick run down on what accounts you'll need. You probably already have one of these accounts if you are on my website, but just in case you can signup for one at the link below. A free account is all you need. This is the service that will actually be sending and receiving the SMS Texts. The account setup is free, you'll just have to pay for credits upfront. I like to sign up for the auto-refresh so my credits don't dip to low. This is what allows Podio to communicate and pass information onto Twilio and Podio. Zapier has different pay tiers for account types, and for this tutorial you'll need to signup for the Starter Account. Sign up is free and gets you into the free trial of their premium features. Once signed up you'll then have the option to upgrade to one of their Paid Accounts. Again the Starter is fine here. I have setup the SMS Podio App with the minimal amount of fields needed to send out the texts and keep track of the conversation. Really there isn't much more you would need. The initial Text is sent when you create the item. Just fill in the To and Message fields and click save. To (text field - single line): The phone number you want to send the SMS to. The formatting doesn't matter much as long as it is a valid number. Just make sure you don't have a leading 1 (i.e. +1 (973) 987-0987). Twilio needs the +1, but we will handle that in Zapier. ** Note you CANNOT use the Phone Field here because Zapier cannot run searches on Phone Fields, only Text. We need perform a search to find the correct record to put replies in. Message (text field - multilined): This field will hold the message you want to send in the SMS. 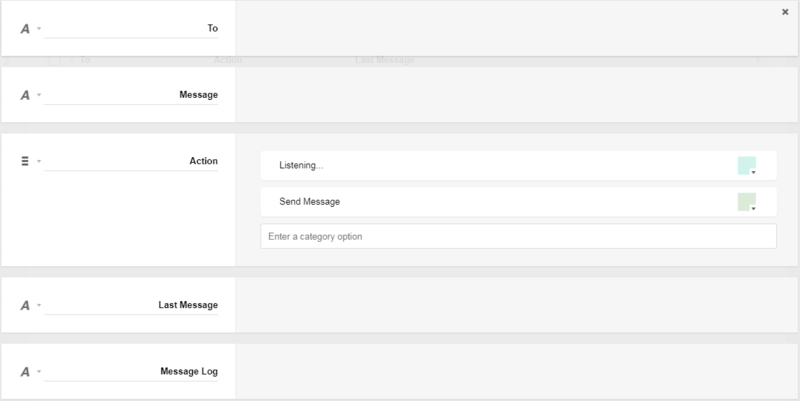 Once the message is sent, this field will clear out and your message will go into the Log and Last Message fields. Action (category field): This is the field that will trigger the zapier zap and to send out the SMS. Click Send Message to send your message. Listening... is the value when you are waiting for a reply from the recipient. Last Message(text field - multilined): The last message sent by you or received by the recipient will appear hear. It is used so you can easily see what was the last thing said and by who. This field also makes it easy to determine the status of a conversation when looking at all items in the App's Grid View. Message Log(text field - multilined): All correspondents with the recipient will appear here chronologically ordered. Great for going back and reviewing a conversation. Twilio is an awesome tool for integrating Voice, SMS and Video into your any type of application, including Podio. If you are a developer you can access there API to gain a completely custom experience. However, for the non developer we can use Zapier to connect up to it. I'll get into how to do that in the next section. 2) Next we need to purchase a phone number for $1/month. 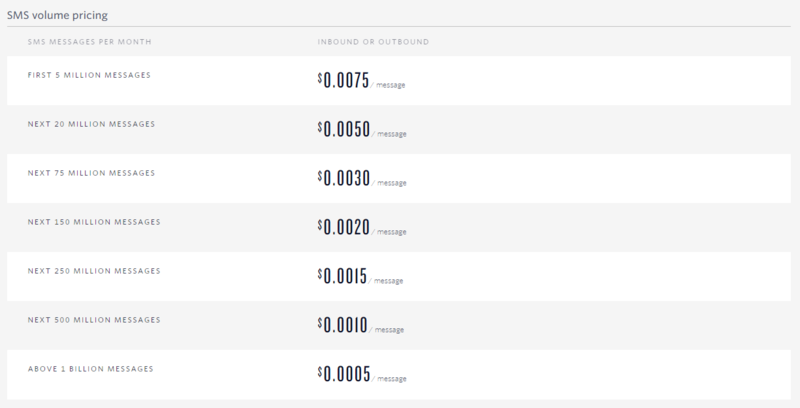 3) Fill up your account with about $20 so you can send and receive messages. Each message is $0.0075 per. Zapier is the connector. It is what gets notified when a change occurs in Podio (by the webhook), pulls the Podio Item's information and then sends all that to Twilio. If you understand how globiflow works, it pretty much is the same thing. You could technically do the same thing with Globiflow, but you would have to write your own Twilio interface in php or other web language. We will be creating 3 Zaps for the sending and receiving of the Texts. Zap to Send First Message to Seller: This Zap is triggered be creating a new record in your SMS Podio App. We could skip this Zap and just use the Update Zap to send a message after the "Send Message" action is selected, but I do not like having to create the record, save it and then click "Send Message". Zap to Send All Reply Messages to Seller: Once the SMS Record is created and first message sent, this zap will be used to send additional messages when the "Send Message" Action option is selected. Zap to Receive SMS Messages from the recipients: This zap will check Twilio for any replies. If a reply is detected it will update your Podio SMS App item that matches the Phone Number of the sender. Zapier checks twilio for new messages every 15 minutes if you are on the Starter plan (5 minutes if you are on a higher plan). This is one of the coolest integrations I have come across with regards to Podio. While it will cost you some money in terms of subscriptions for Zapier and Twilio, the cost is minimal based off the benefit you will receive. I would have liked to integrate the sending and receiving of texts through the Podio comments area of an App Item, but Zapier currently does not support the Comment webhooks that would trigger such an event. Additionally Zapier can't create comments either. Also note that Zapier checks Twilio every 15 minutes for incoming text messages. So when you are testing yourself, you'll have to wait up to 15 minutes before you see the text come into Podio. This is a tad annoying but was manageable. Finally, Twilio has an AI type tool where you can send out responses to text messages based off what is said in the body of a message. This could be very useful in getting information from a seller automatically. I have not yet experimented with this, but when I do I put up a tutorial. As always I want to hear your ideas. How can I make this SMS process better? Leave a comment below so we can talk about it. Also if you have any questions I'd be happy to answer them. I am having a little trouble in Zapier. When I am in step 2 (Action) editing template, you say in the video to click on the “To” but mine comes up as “title” for the To Number. Also for the Message the option is “Field Message Value” and it shows my message as “This is a test”. So when I sent the test message; the message has the before and the after the message text. Can you tell what I am doing wrong here? The first question you have about “title” and “to” field to select. It’s coming up as “title” because when you created the Podio App, you used the default “title” field that shows up. Podio keeps track of fields using FIELD_IDs and the FIELD_IDs are taken from the field label it is when the App Template is first saved. You cannot change the field_id unless you delete the field and recreate it. However, this is not really an issue as long as you realize that your field labeled “TO” has a FIELD_ID of “TITLE”. Been a rough past couple days with a cold I have and my son getting sick. I’ll take a look at the screen shots today or tomorrow and get back to you. Sorry for the delay. Have you looked at automate.io as a zapier alternative. A little cheaper and only 5min check times. Also, have you ever looked at Clicksend as a platform for sms, voice, post? Appreciate the information you post, always helpful. I haven’t tried those other services. I like to stick with Zapier because I already have other Zaps and like to keep things to a minimum with regards to accounts. Great post Scott! A lot of hard work you’ve put into documenting this process. Thank you! I have been trying to do similar things with Google Sheets. My marketing is to probates, and I first send direct mail letters and then want to send bulk SMS text messages to the executors as follow up to the letters. Using Google Sheets there are ways of sending these bulk text messages for free. Do you ever do any bulk messaging? And speaking of probates, I remember reading your blog post about probates years ago as you followed the method in Ron Mead’s “31 Days to Profits in Probate Real Estate”. I have continually searched for that resource and cannot find it anywhere. I would love pay him for any materials, but I don’t know how to get a hold of him. Do you have Ron Mead’s email address or phone number…or a PDF of the book? Unfortunately Ron discontinued his course about 2 years ago. As for bulk texts, I do not do that. I prefer using automated texts to serve as follow ups instead of marketing with mass texts. Just my personal preference. Great write up…I’ve been dragging my feet on implementing an automated SMS system and finally giving it the time to set it up. One thing I am trying to figure out is the content of what to say to my seller leads.I don’t want to be repetitive as each SMS gets sent out. Would you be willing to share what your messages look like? I don’t have campaigns per say, I only send SMS as follow ups to people who fill out certain forms on my website. They basically are just thank you texts and to try and get some further information to help me screen them. Things like, when do you plan on selling and why are you selling. So you’re not using SMS as a follow up tool? What’s your method of following up with leads that say they want to sell but aren’t ready until 3-6 months out? I have relied solely on calling and some manual SMS follow up, but it’s pretty time consuming to manually call all the time which is why I am trying to implement various touches per month but through different communication mediums.